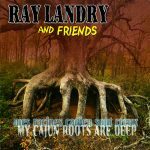 Best of the Bayou, a LIVE recording of Jeffery Broussard & the Creole Cowboys, Lost Bayou Ramblers and The Bluerunners, is the first CD release of Blue Moon Presents. Recorded at The Blue Moon Presents’ March 2008 South By Southwest showcase at Roadhouse Rags in Austin, TX, the album captures the raw, live performances of three of the Lafayette venue’s favorite bands. Jeffery Broussard & The Creole Cowboys are one of the few traditional Zydeco bands playing today, delivering great, pack-the-floor renditions of Creole classics as well as their own brand of contemporary Zydeco. Grammy nominated Lost Bayou Ramblers put on a crude and energetic performance that compliments their dozens of original songs as well as their vast Cajun repertoire of hundreds of early accordion dancehall tunes, pre-century fiddle tunes, and Cajun swing. Rooted in the Cajun and Zydeco music of their home turf, The Bluerunners fuse their music with the gutbucket blues and country of the South. Released in December 2008, 12 tracks.